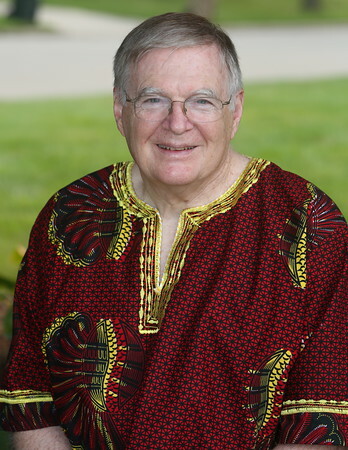 J. Denny Weaver is Professor Emeritus of Religion, Bluffton (Ohio) University. Among his several books are The Nonviolent Atonement, 2nd revised and expanded edition (Eerdmans, 2011) and The Nonviolent God (Eerdmans, 2013). The works cited in this blog are Carter, Race: A Theological Account (Oxford, 2008) and Jennings, The Christian Imagination: Theology and the Origins of Race, (Yale, 2010). Scholars typically trace the Doctrine of Discovery to Papal bulls of the 1400s. However, one can argue that its theological roots extend much earlier, and are located front and center in what has been considered standard (orthodox) theology for close to 1,600 years. In writings on the origins of racism in Christian theology, African American scholars J. Kameron Carter and Willie James Jennings locate the roots of racism in the first centuries of the Christian church, when the early church fathers separated Jesus from his Jewishness. That separation resulted in Jesus defined as “one substance with the Father” (Council of Nicea, 325 CE) and “fully human and fully divine” (Council of Constantinople, 451 CE), and in the Trinitarian terminology in which Jesus is Second Person of the Trinity. Such formulations disconnect Jesus from his identity as a Jew and from God’s covenant with Israel. The result was a supposed universal Jesus, who Europeans elevated above race. However, they understood Jesus in their own image, with whiteness standing as a norm that was above race. In relation to the white norm, people of color became varying degrees of inferior, as did other forms of government. And with God’s covenant separated from Israel, Europeans could appropriate chosenness for their own agenda. The racist, theological underpinnings of the slave trade and the colonial enterprise were thus well established by the 15th century. The articulation of the Doctrine of Discovery took root in well-prepared ground. Carter and Jennings call us to recover the Jewishness of Jesus, not as a mere ethnic identity but of Jesus as the bearer of the covenant with Abraham. Although reluctantly, Jesus had expanded the people of God to include the Syrophoenician woman (Matt. 15.21-28; Mark 7.24-30). Paul’s primary mission was to invite Gentiles into a new form of God’s people Israel around Jesus. In this new formulation, cultural identities do not disappear, but rather are respected and honored. I am a pacifist Mennonite. To the analysis of Carter and Jennings, I merely add that the Jewish Jesus was a pacifist. It may come as something of a shock to see that the standard way of talking about Jesus is implicated in a central way in the Doctrine of Discovery. But I think this application should stick in our minds every time we hear that language posed as though it is the assumed, transcendently true and necessary way to talk about Jesus and his relationship to God. For myself, I first realized a problem with these standard formations when I saw that they allowed Christians to profess faith in Jesus while exercising the sword that he rejected, and that they were proclaimed by councils called by emperors whose rule depended on the sword. Later, I learned that this was not an observation limited to a few Mennonites. A number of theologians and historians from other traditions have also written that formulas about Jesus that made visible his rejection of the sword would never have been accepted by the emperors. Rather than treating the formulas as unquestioned statements of transcendent truth, we should recognize them for what they are, namely answers produced by men, using fourth-century terminology in a worldview quite different from our own, to answer particular questions about the relationship of Jesus to God and to humankind. We no longer live within that context and worldview, and we have seen the unfortunate applications made. I think it is thus appropriate, and even necessary, for us to develop theology for our time that starts with the story of Jesus the Jewish pacifist and is not beholden to the inherited formulas. My response to the Doctrine of Discovery is multifaceted. We cannot undo the enormous harm it has done around the world and specifically here in the United States. But we can use theological analysis to expose its racist origins. And we can construct a theology from within our context that responds to the racism of the Doctrine of Discovery. This theology that begins with Jesus the Jewish pacifist will point to Jesus’ inclusion of both Gentiles and Samaritans in the blessing of God’s people and will emphasize Paul’s invitation to Gentiles to join the new family of God’s people. It will be a theology that emphasizes the equal worth of all cultures and ethnicities and celebrates their uniqueness as well as their contributions to God’s people. And this theology will call all people, whether they have lived on the side that has benefited from or was harmed by the Doctrine of Discovery, to join together to confront existing injustices and to create a more just future. I agree that we must recover the Jewishness of Jesus and understand him in terms of his mission to Israel, and of Israel’s mission to the world. Yes, we can stress the divinity of Christ in such ways that we let ourselves us off the hook for following him in our human lives. Thank you, Dr. Weaver, for helping us examine our understandings of Jesus for the taint of racism, imperialism and ethnocentricity. The history of collusion and cooperation between church, empire and war requires the kind of work that the Doctrine of Discovery materials are doing. But I thought empires were doing racism, imperialism and colonialism quite well before the councils and the creeds of the 4th- and 5th Centuries. I also have thought of the incarnation of God in Christ as God’s supreme expression of solidarity with us, and compassion for us, God’s supreme demonstration of peace, justice and human dignity. The flesh that God took on in Christ is logically also the flesh of my African, Asian, and Native American neighbors. So I must treat and honor all flesh as I would my own, and that of Christ. Shouldn’t Caesars, emperors, dictators and the acolytes of their hierarchies be very disturbed by a God who “was in Christ reconciling the world to himself,” who “became flesh and dwelt among us” as a servant, even suffering the death of a slave and a rebel? Nor should they like a God whose Triune nature is the fount of diversity, harmony and community in Creation. That’s why, as often as not, the Roman emperors of the 4th and 5th Centuries opposed these doctrines (Athanasius was exiled 5 times by Arian emperors for his insistence on the incarnation of God in Christ and his divinity). The elevation of the “supposed universal Jesus” (Matthew 28: 18-20) over all tribes, tongues and nations would logically relativize all race, beginning with one’s own, not idolize it. Whenever the church has used creeds and beliefs to buttress the worship of whiteness, empires and emperors, chalk that up to our sinful, selective, self-serving and self-contradictory relationship with power and doctrine, and not to these doctrines themselves. Far from being out of date, I am still waiting for better explanations of the Biblical material, and for any action of God more subversive of imperial business as usual.